Making special autumn keepsakes with kids is something I’m surprised more people don’t do. I think it’s easy for all of us to get caught up doing the same things over and over again and we wind up letting really special memories slip right through our fingers. It happens to every busy family. Today I’m going to show you some interesting ideas using photography to create autumn keepsakes everyone will love for years and years. Rather than snapping photos yourself, hand over the camera to your apprentice photographers. Teaching kids to learn how to take incredible pictures is a worthwhile thing to do. It can give them a new perspective on the world around them, and it allows you the opportunity to get inside their little minds to see the world as they do. Maybe you would take a perfect photo of your child holding an apple, but your little one would go a different way. No matter how tiny those fingers, there is a big imagination inside. Talk to them about perspective in a way they can understand. Let them know pictures are more than taking photos of other people. For instance, they should know that sometimes taking a photo of a small part of something can be truly lovely. Capturing a color, or a shadow, or even a shape can be beautiful. I created this fun Fall scavenger hunt to get your little one’s wheels turning. Download it here and hand them your camera. Show them how to get up close to something tiny to snap a photo. Show them how a camera works and how they may want to frame things. Photos turn out blurry? That’s OK.
A picture of the side of one leaf or a piece of candy corn they dropped on the kitchen floor? That’s OK, too. Plan a walk with the whole family and talk to them about the pictures they are going to take. The smaller ones may need some direction about how to take a photo while the school-age kids will probably be better than you expect. Download your Fall scavenger hunt printable here. 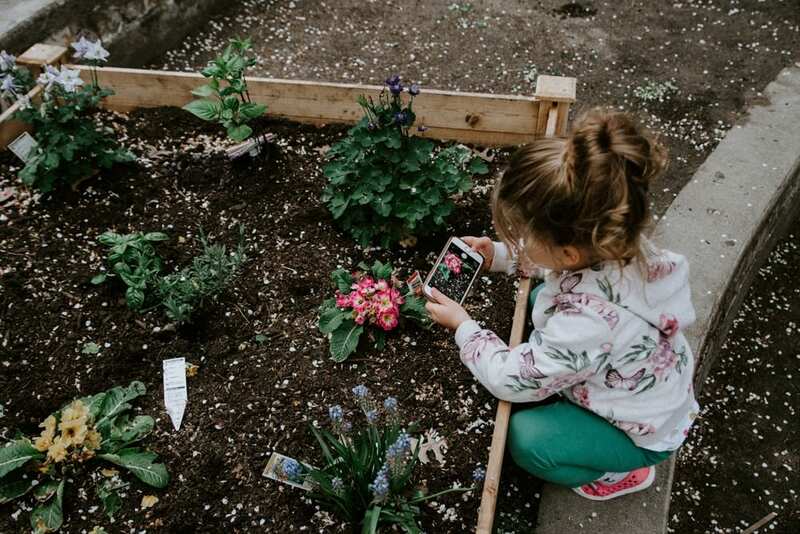 Use your phone, tablet, or a camera just for kids. Honestly, lots of kids today know exactly how to use the camera on a phone or tablet. You don’t have to buy anything additional if you don’t want to. If you want to get them their own camera, there is a great little camera by VTech that has great reviews and it’s made just for kids. It features a front camera that’s 1600 x 1200 pixels, and a rear camera that’s 640 x 480 pixels. It also has simple photo optimization. This could be a gift from you they enjoy for several years. Using their photographs, upload to a place like Shutterfly or Walgreens. The goal is to make a book that features their own work, without a single photo taken by an adult. Just the way you did with the memory books, upload one or two of their favorite photos to Shutterfly (or someplace similar) and create a canvas wall hanging. Of course you’ll display it each fall and love it more with every passing year. But, can you imagine how much they will love having a canvas or memory book of their own view of the world when they grow up? Tip: Make sure pics are the right size for printing in book or on a canvas. The higher the resolution, the better the quality. For a canvas, you’ll want your photos to be at least 2400 x 3600 pixels. For a photobook, anything 2000 pixels or greater will work. When you upload your pics just don’t try to make them larger. You’ll likely wind up with a blurry image. Be sure you jot down all their answers so you can add them to your book or make a note on the back of the canvas. 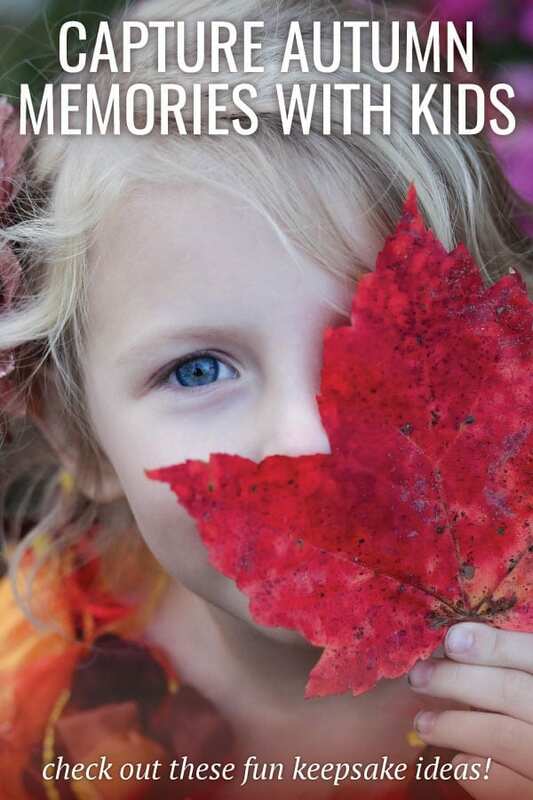 Check out this super cute Autumn memories photo book that would make it really quick and easy to create. Do the same thing every year for every season. Watch as their sense of creativity changes from year to year. Someday you’ll give them the photobooks and canvases when they have their own home and their own children. And there you have it. I can’t wait to hand Clara my camera and do the scavenger hunt with her once our leaves actually change colors. I know she’ll it! If you do it, I’d love if you share a photo or two with me. I’d be so thrilled to see some of the photos your kiddos snap. Why I Let My Toddler Watch TV — and don’t feel guilty about it!